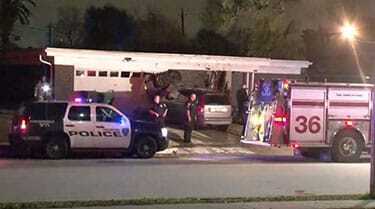 Houston (February 4, 2019) – A man died Saturday morning after crashing into a home in southeast Houston. Authorities say the driver of the SUV was driving at a high-rate of speed and ran a stop sign. The driver collided into two parked vehicles and some rocks when he went airborne crashing into the house. The car caught on fire damaging the front part of the house. The homeowner was able to escape without injury. Investigators were determining whether the man was intoxicated during the crash.